Moisturizing fluid & beard care in one - for the sporty young man. 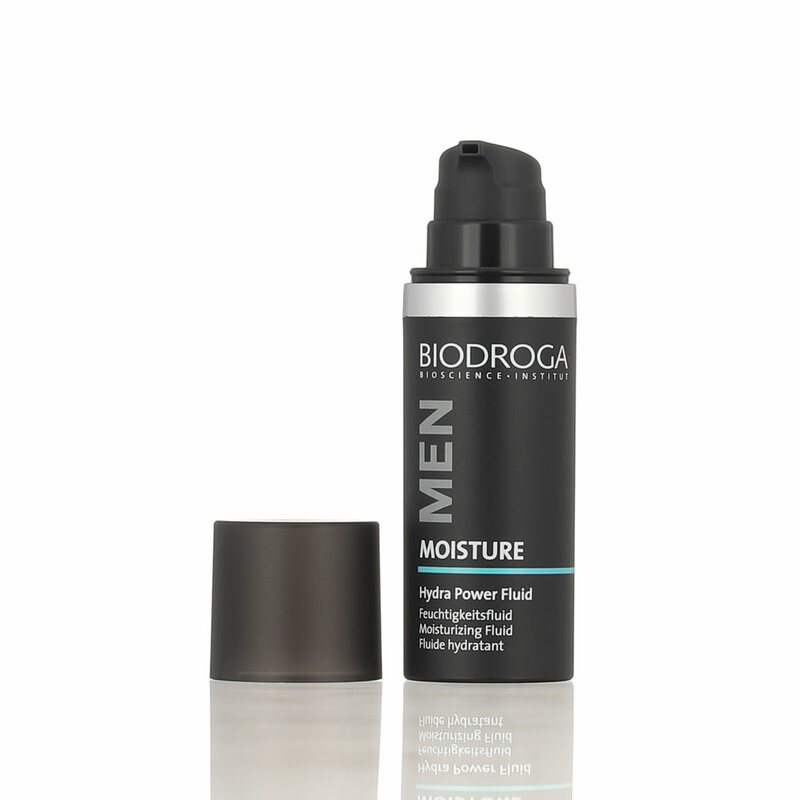 Hydra Power Fluid was specially developed for dry men's skin. Moisturizing active ingredients intensively care for the skin and protect it from moisture loss. Dryness lines and scaly areas are balanced and the skin appears supple and smoothed. The light fluid additionally cares for the beard, soothes unpleasant itching and leaves the skin feeling pleasant. High-molecular hyaluronic acid, Codiavelane and Fucogel provide the skin with intensive and deeply effective moisture and prevent it from drying out. Magnolia extract is known for its antimicrobial and skin caring properties and helps fight impurities and reduce inflammation. Avocado oil smoothes dry and flaky skin and softens beard stubble. WATER (AQUA), CYCLOPENTASILOXANE, GLYCERIN, AVOCADO(PERSEA GRATISSIMA) OIL, C12-15 ALKYL BENZOATE, CETEAEYL ALCOHOL, BUTYLENE GLYCOL, PHENOXYETHANOL, SODIUM HYALURONATE, CODIUM TMENTOSUM (ALGAE) EXTRACT, BIOSACCHARIDE GUM-1, MAGNOLIA OFFICINALIS BARK EXTRACT, PROPANEDIOL, SODIUM ACRYLATE/SODIUM ACRYLOYLDIMETHYL TAURATE COPOLYMER, ENTEROMORPHA COMPRESSA EXTRACT, OCTIMUM SANCTUM LEAF EXTRACT, SILYBUM MARIANUM FRUIT EXTRACT , CETEAEYL GLUCOSIDE, POLYISOBUTENE, FRAGRANCE (PARFUM), BENZYL SALICYLATE, HEXYL CINNAMAL, LINALOOL, LIMONENE, ALPHA ISOMETHYL IONONE, CITRONELLOL, ETHYLHEXYLGLYCERIN, CAPRYLYL/CAPRYL GLUCOSIDE, ALCOHOL, TOCOPHEROL, CAPRYLIC/CAPRIC TRIGLYCERIDE, ASCORVYL PALMITATE, CITRIC ACID, ASCIRBIC ACID.